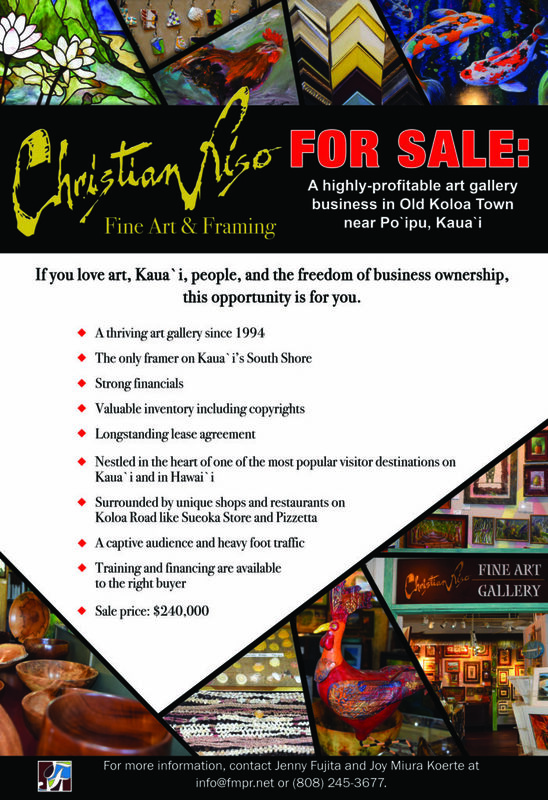 Christian Riso Fine Art & Framing, a highly-profitable art gallery business in Old Koloa Town near Po`ipu, Kaua`i, is now for sale. If you love art, Kaua`i, people, and the freedom of business ownership, this opportunity is for you. For more information, contact Jenny Fujita and Joy Miura Koerte at info@fmpr.net or (808) 245-3677.